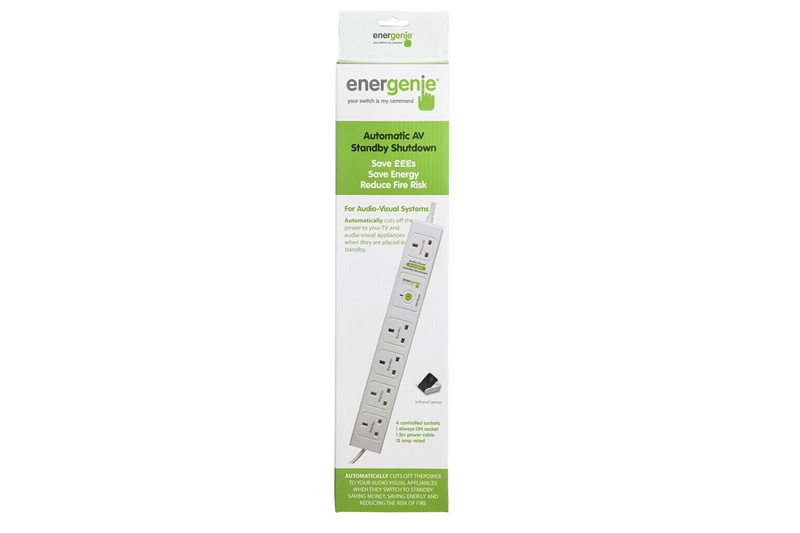 The Automatic Standby Shutdown reduces the energy wasted by leaving your home entertainment system in standby. 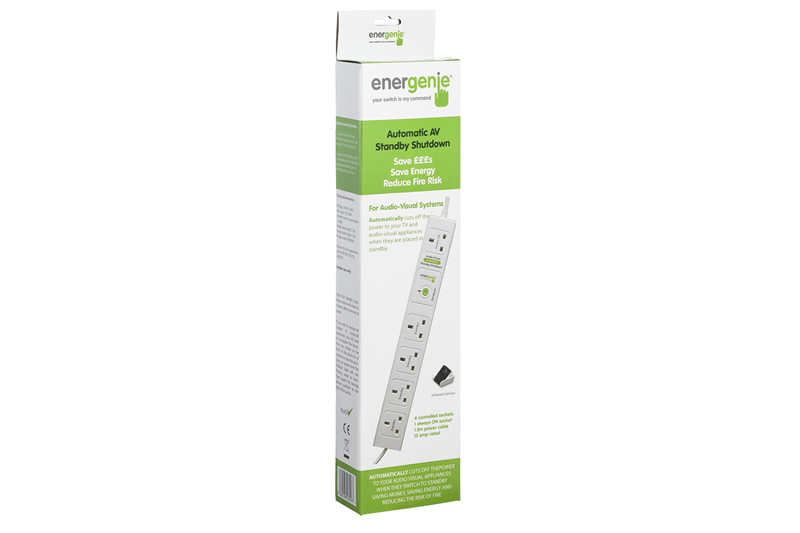 It will automatically cut the power to your appliances by recognising when they are in standby. 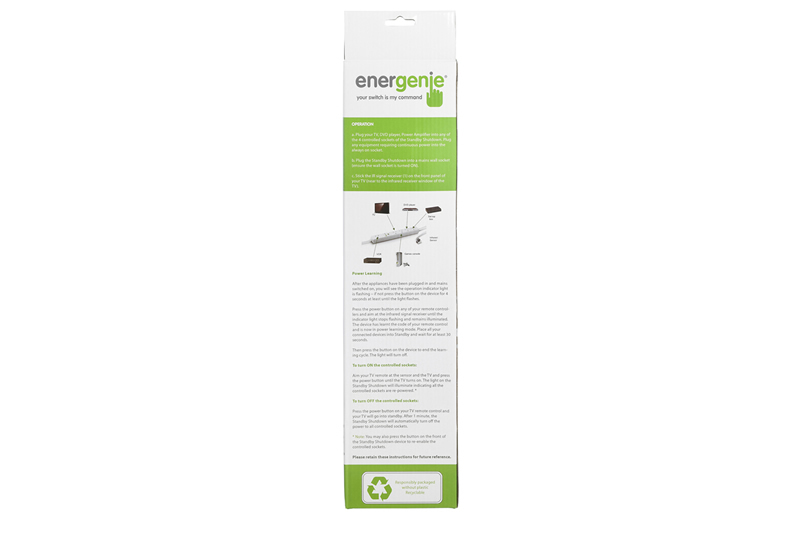 This will reduce your energy use and save you money. 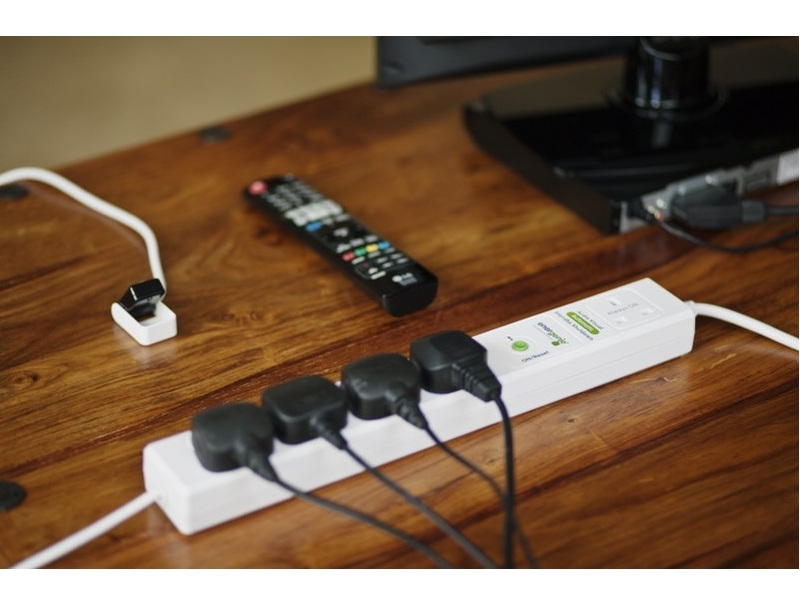 There are 4 controlled sockets that may be used with your TV, DVD player, VCR, power amplifier ect. 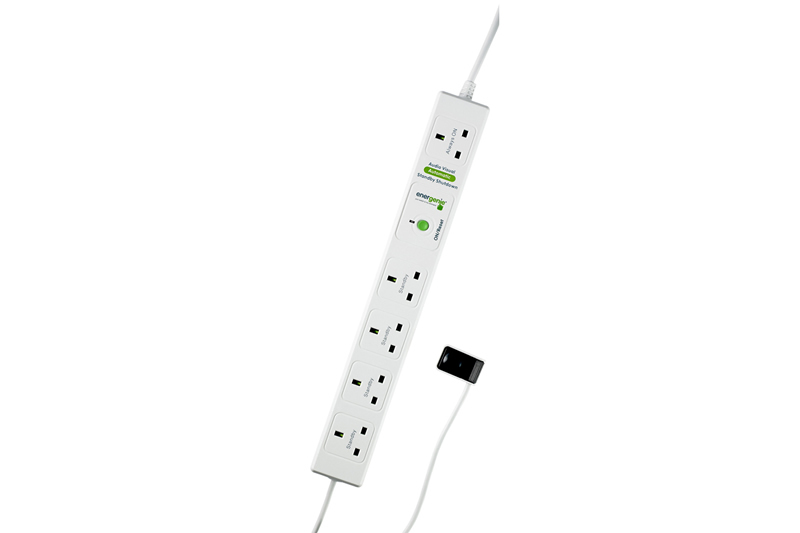 There is also one permanently on socket for appliances that require continuous power. To switch back on you can program the Standby Shutdown to recognise the infrared signal from any infrared remote control such as your TV remote or you can simply press the reset button on the housing.